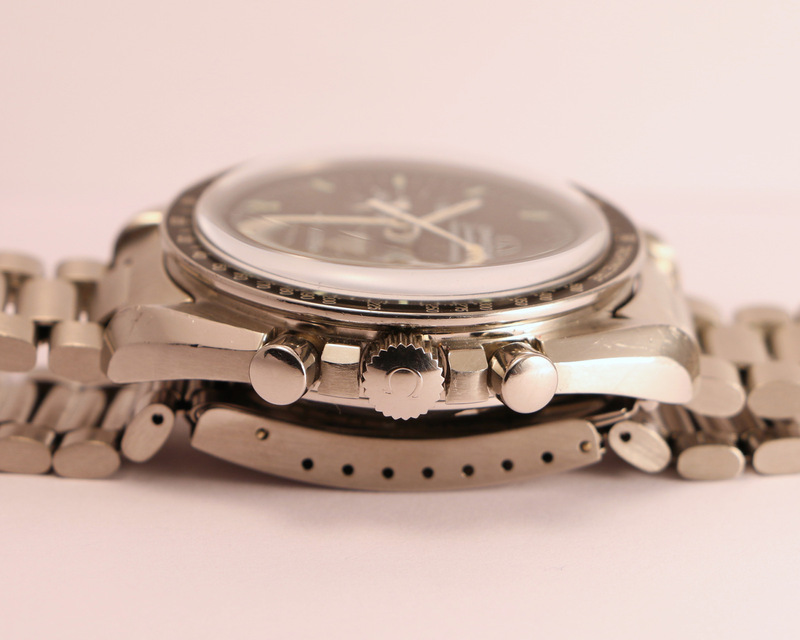 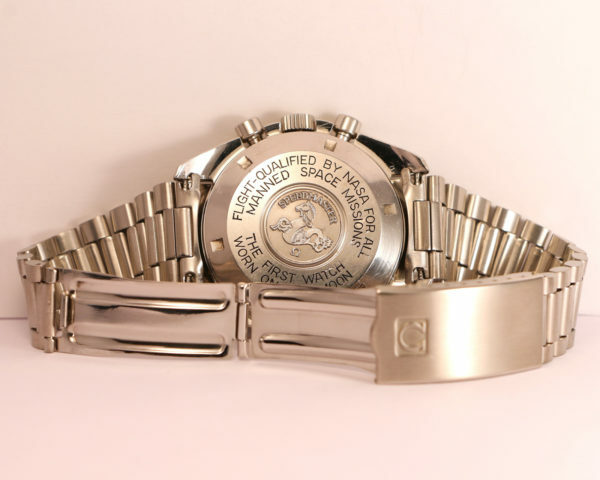 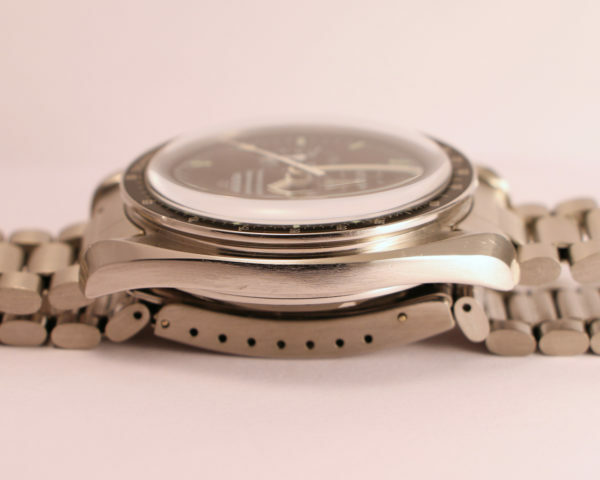 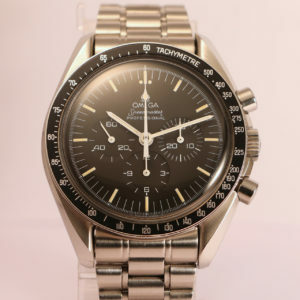 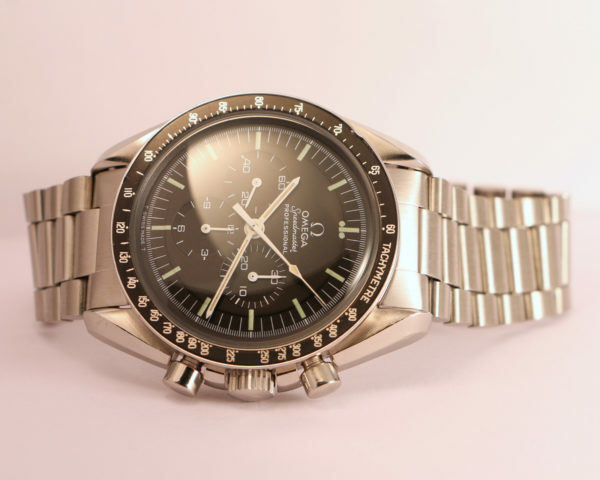 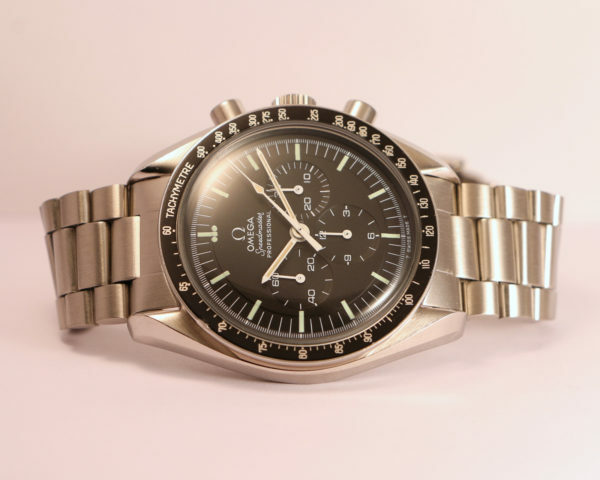 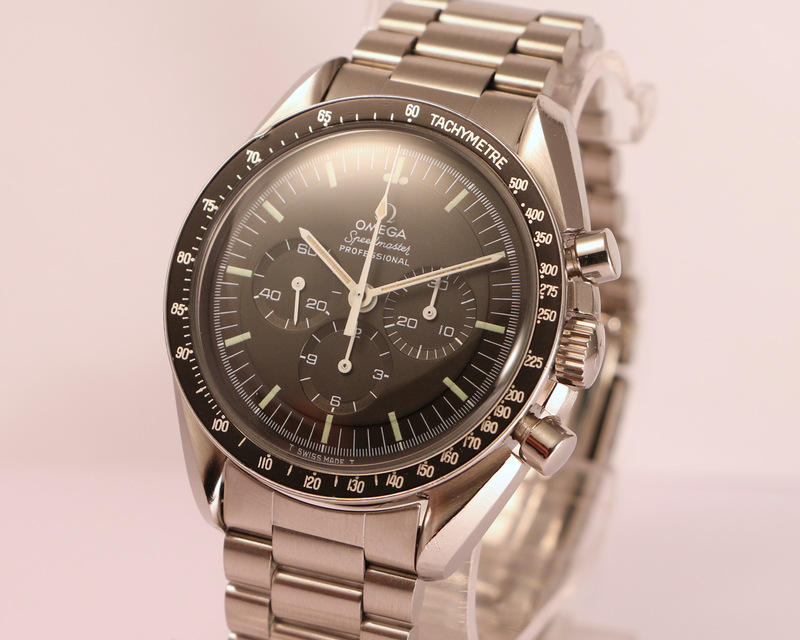 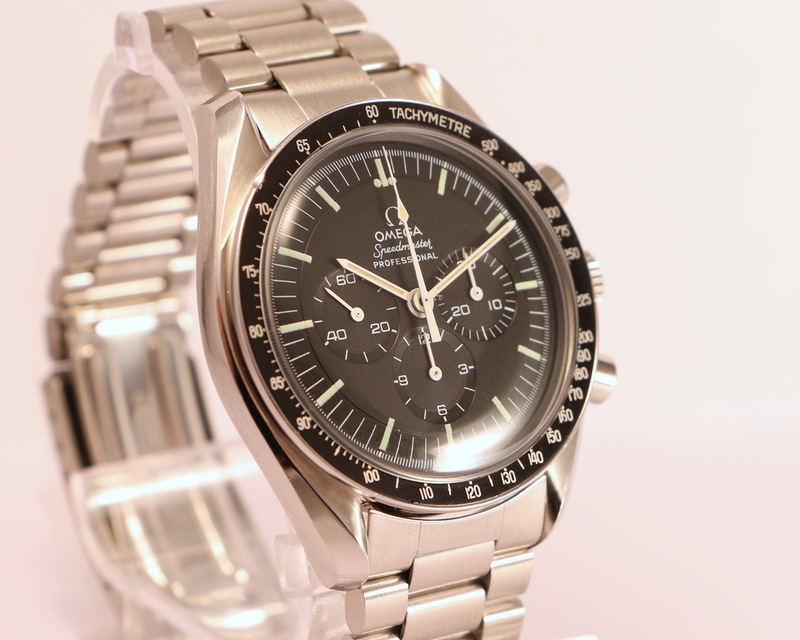 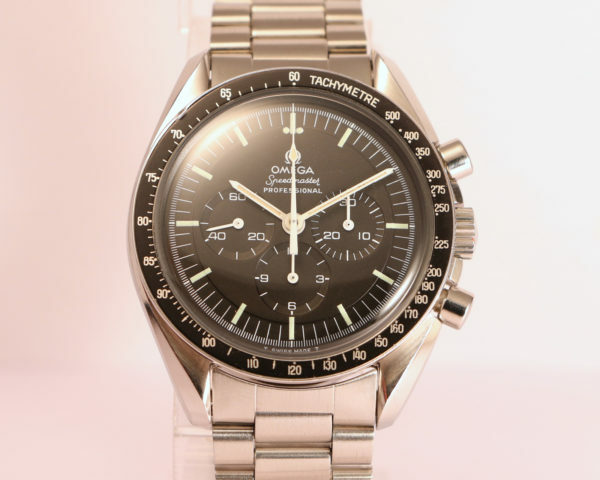 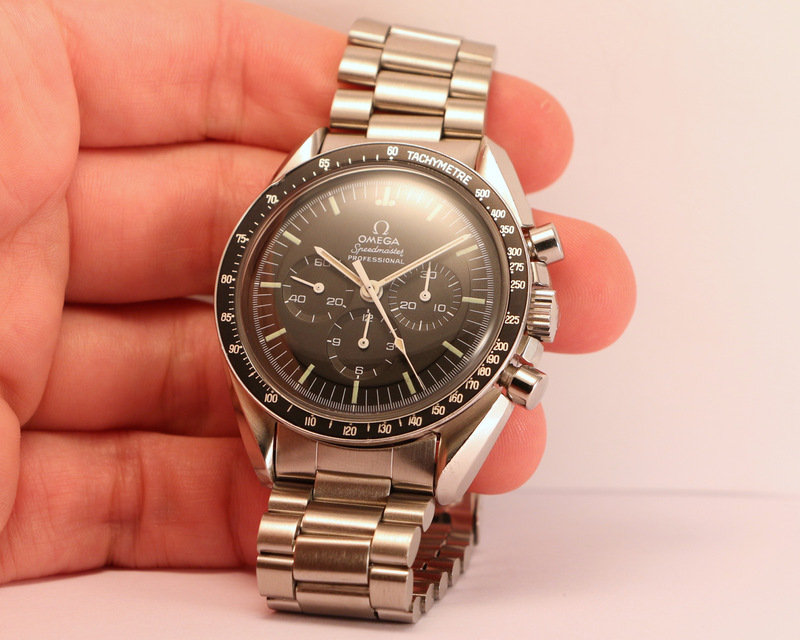 Omega Speedmaster 145022-71 in very nice condition. 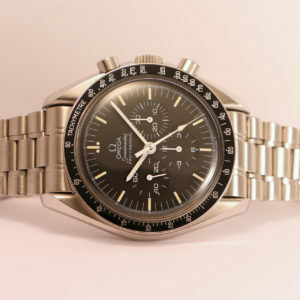 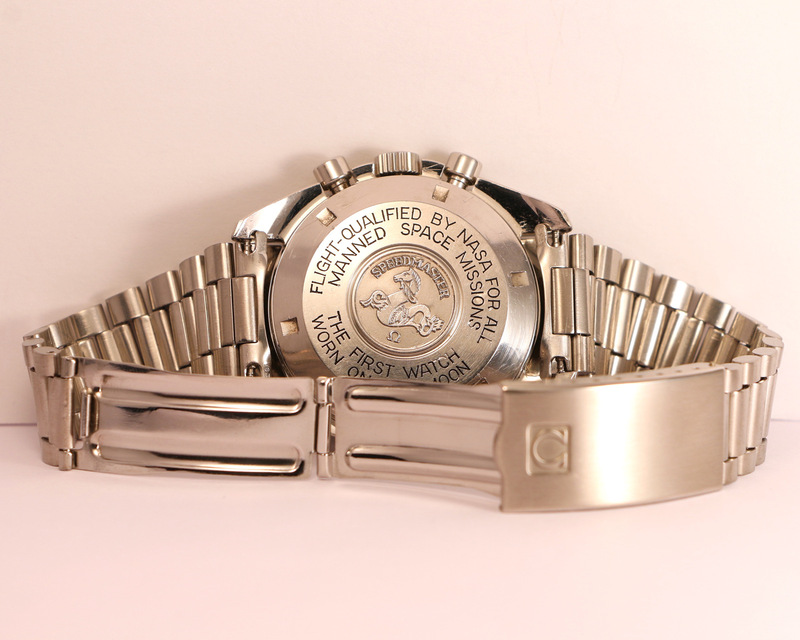 This reference is interesting because it is the last speedmaster with the “step” dial. The next reference (145022-74) doesn’t have the step anymore. 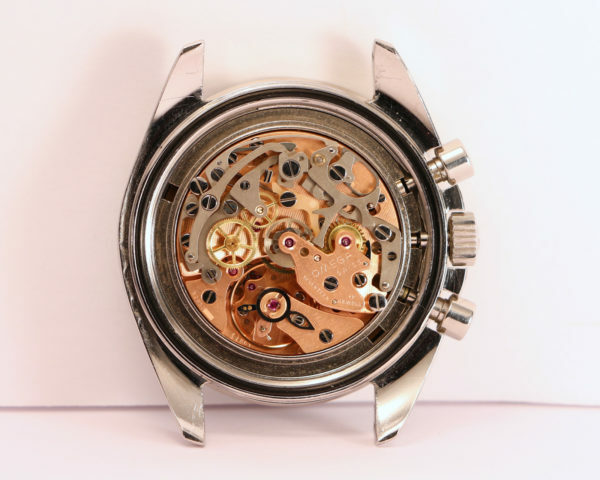 Tritium indexes and hands with a nice patina (not relumed). 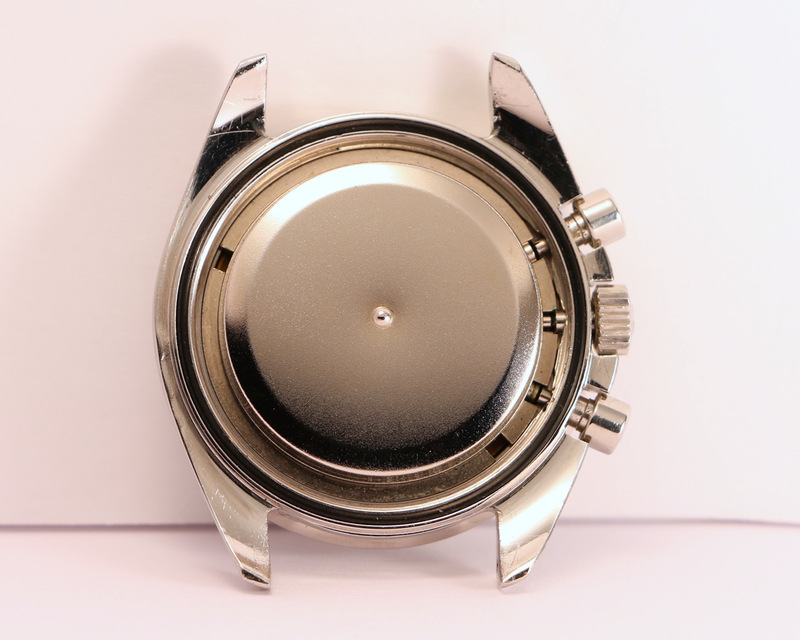 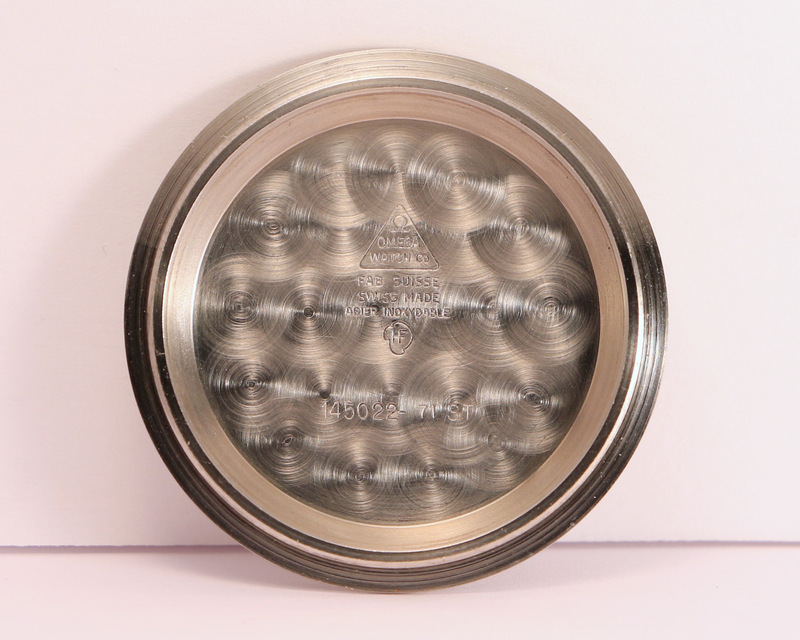 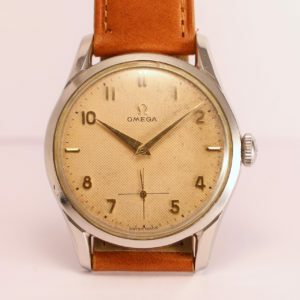 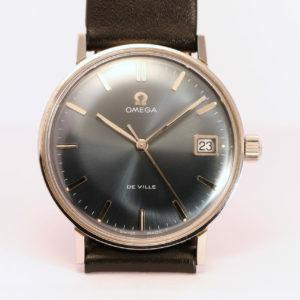 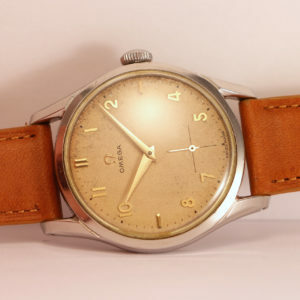 The dial is in excellent condition, it looks like new ! 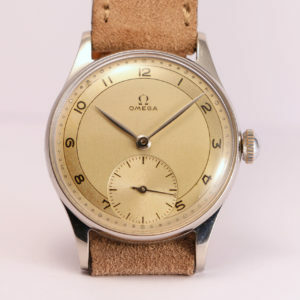 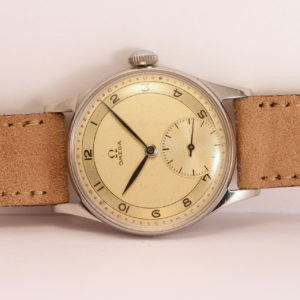 Original bezel with the writing “TACHYMETRE” in big characters without accent (rarer than later versions with smaller characters). 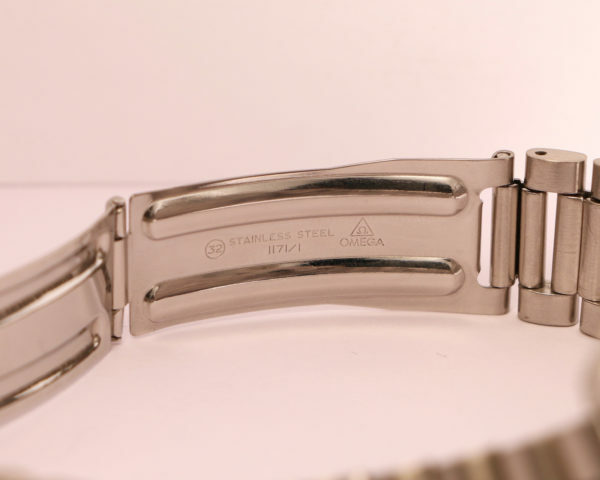 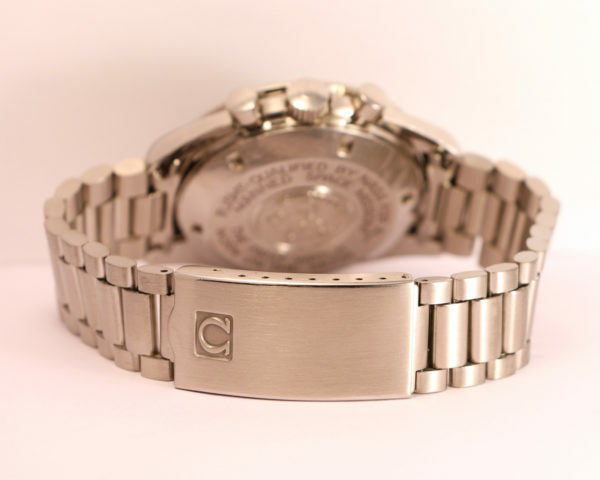 Steel 1171 bracelet with 633 endlinks. 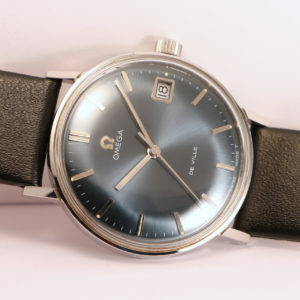 Original plexiglas with Omega logo.